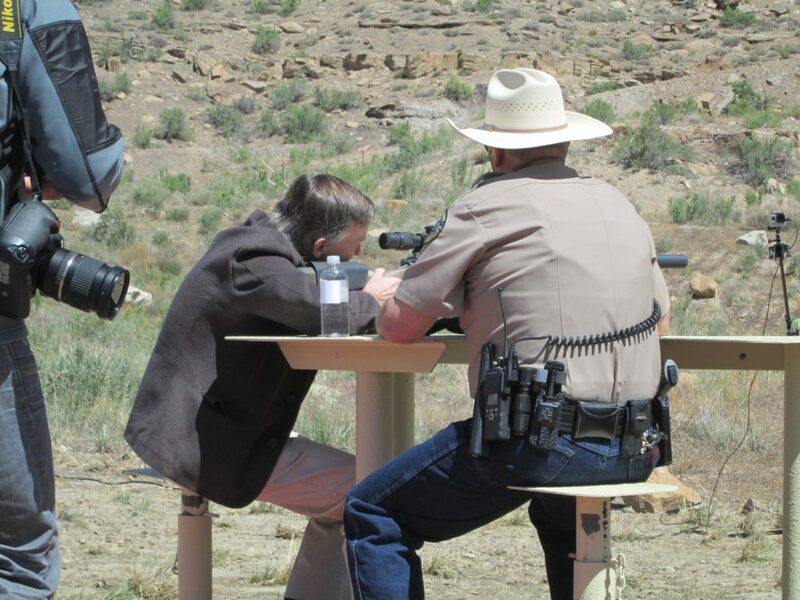 Palisade Mayor Roger Granat was one of the officials on Saturday, May 20, to fire the “first shot” at a well-attended ceremony marking the start of the development of the Cameo Shooting & Education Complex east of Palisade. 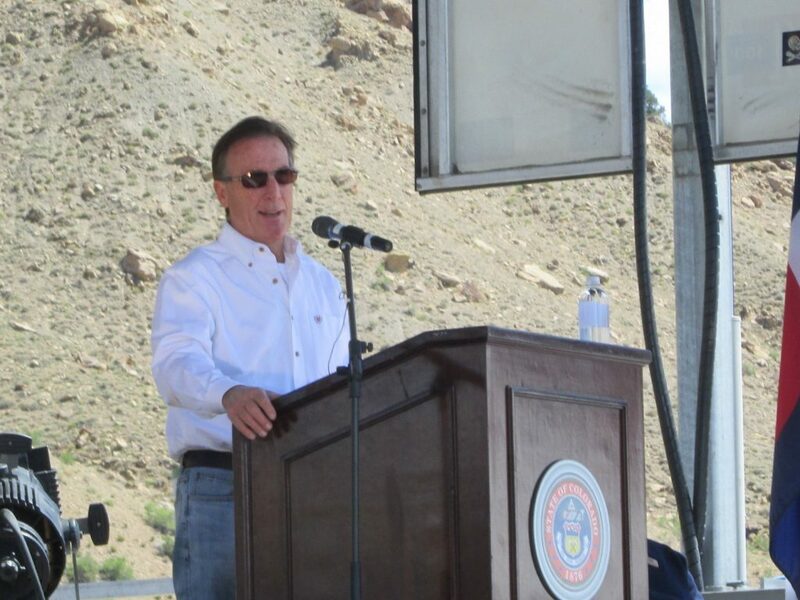 Full development of the complex by Colorado Parks and Wildlife over several years on the nearly 2,000 acre site is intended to spur economic development in Palisade, the area, and western Colorado. 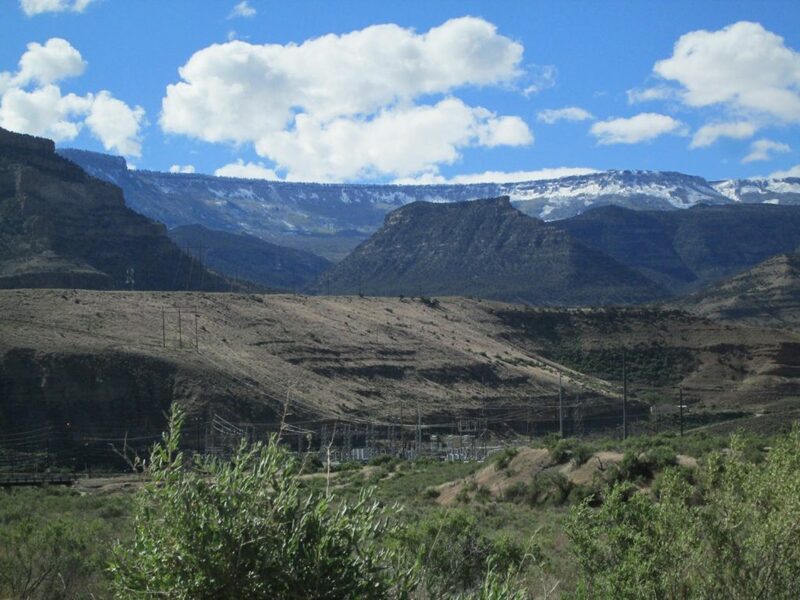 Palisade purchased the land through a $2 million grant from DOLA and $2 million from Colorado Parks and Wildlife. Palisade is leasing the land to Parks and Wildlife which will design and build the complex. Purchase of the land was reported to have been a six year process of negotiations among the town, Xcel Energy, and Snowcap Coal Company. The site is the former location of Cameo, a coal mining town. The ceremonies took place under tents on a brisk spring morning, surrounded by rocky cliffs and by mountains framing a view of a Grand Mesa, white with new snow and green with spring growth. At the ceremony, Gov. 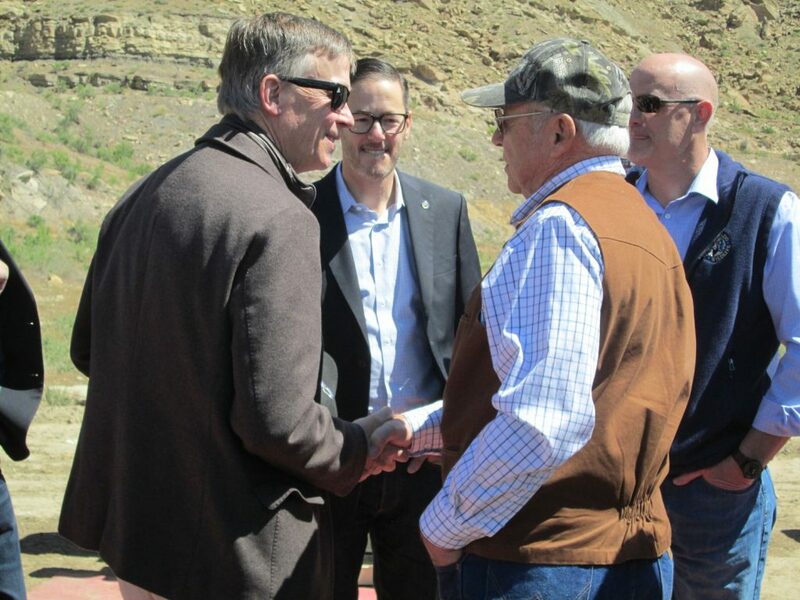 John Hickenlooper spoke about the economic potential of the development as a world class shooting complex as part of the outdoor recreation industry in Colorado. Gov. Hickenlooper noted that May 20 is the first Colorado Public Lands Day. He marked the day at other events in the Grand Valley. One speaker said more than one-third of Colorado is public land. GOV. 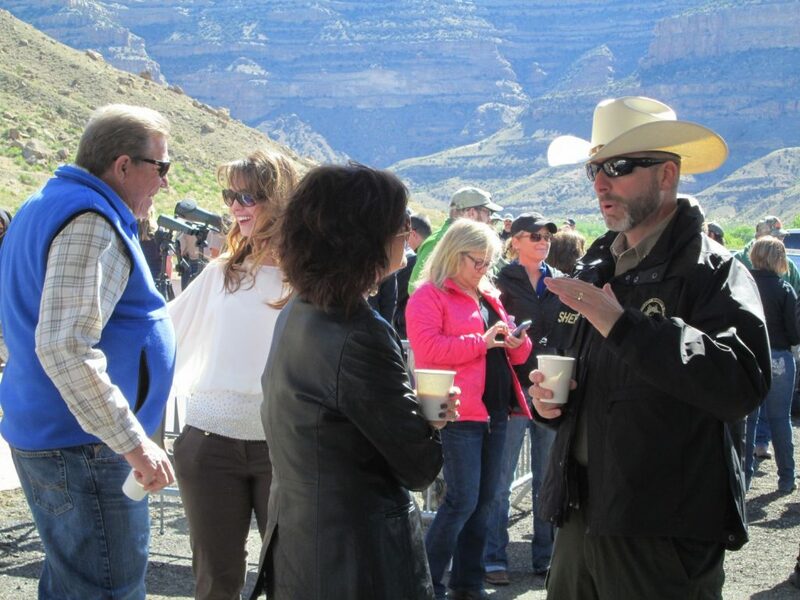 JOHN HICKENLOOPER (LEFT) AND PALISADE MAYOR ROGER GRANAT TALK DURING CAMEO FIRST SHOT CEREMONY. Colorado Parks and Wildlife describes the new complex as “much more than just another place to safely shoot rifles, pistols, archery and shotguns. It will also be an educational and training facility, where kids can learn about the safe use of firearms, and law enforcement can sharpen their skills. “The complex will be a top destination for people from all over the world to participate in organized shooting competition,” parks and wildlife adds. It notes that when complete the complex will attract 50,000 visitors annually, and generate year-round community business activity. At the ceremony, Mayor Granat was presented a cake for his 75th birthday. One speaker drew laughter when he joked that the cake might be used for a target. Palisade Trustees attending the ceremony included Mayor Pro Tem Dave Edwards and Trustee Robynn Sundermeier. Palisade Town Administrator Rich Sales was recognized for his efforts in the negotiations. Also attending was Palisade Chamber of Commerce Executive Director Juliann Adams. Also attending the ceremony were Colorado Senator Ray Scott and Mesa County Commission Chair Scott McInnis, and Mesa County Commissioner John Justman. Speakers also included Robert Randall, DNR executive director; Bob Broscheid, Colorado Parks and Wildlife director; and James Pribyl, chairman of the Colorado Parks and Wildlife Commission. JT Romatzke, CPW wildlife manager, hosted the ceremony. See further information at www.cpw.state.co.us/cameo. GOV. JOHN HICKENLOOPER FIRES FIRST SHOT AT CAMEO CEREMONY. THE CROWD ATTENDING THE CEREMONY HAD TIME TO VISIT WHILE WAITING FOR GOV. HICKENLOOKPER AND STAFF AFTER THEY FLEW TO GRAND JUNCTION. THE CEREMONY WAS WELL-ATTENDED. VISITORS TO THE CEREMONY TOOK THE OPPORTUNITY TO GET THE FEEL OF THE RIFLES USED FOR THE FIRST SHOT. 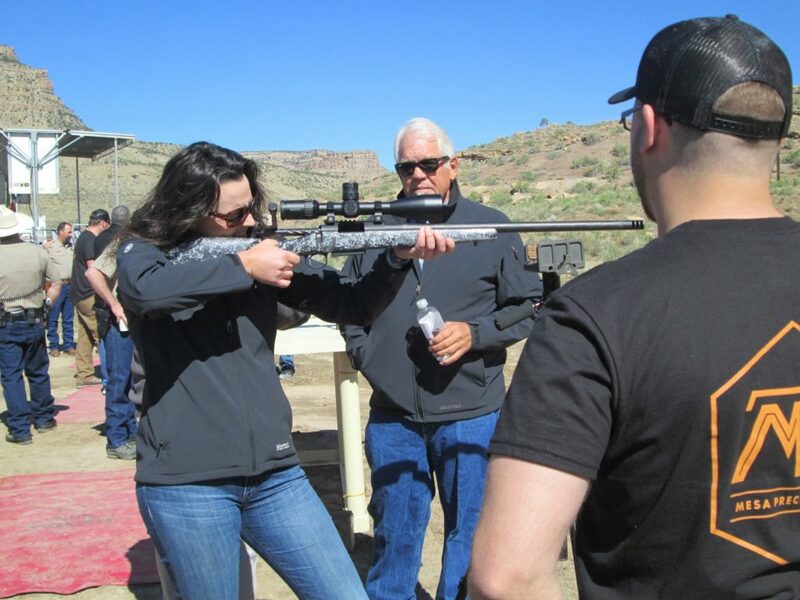 THE RIFLES USED FOR THE CEREMONY WERE PROVIDED BY MESA PRECISION ARMS, GRAND JUNCTION. 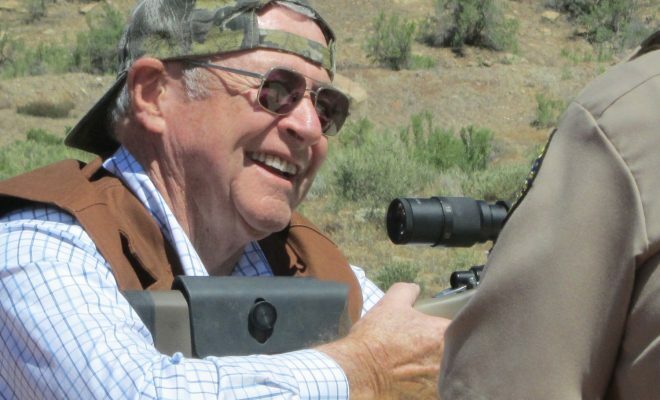 THE LONG RANGE RIFLES ARE SOLD LOCALLY AND NATIONALLY, JOHN HAKES, OF THE COMPANY, SAID. 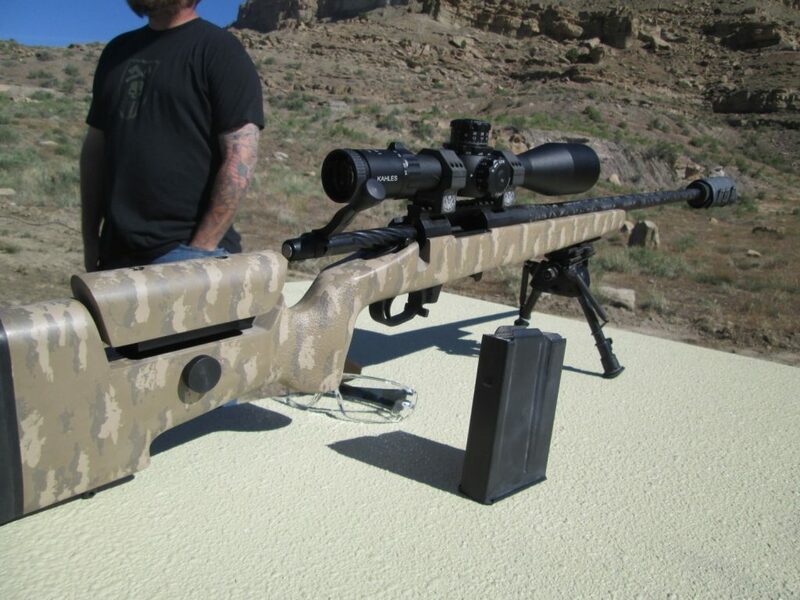 JOHN HAKES OF MESA PRECISION ARMS SAID EACH RIFLE WEIGHS AROUND 11 POUNDS. THE BARREL IS STAINLESS STEEL AND THE STOCK IS FIBERGLASS. 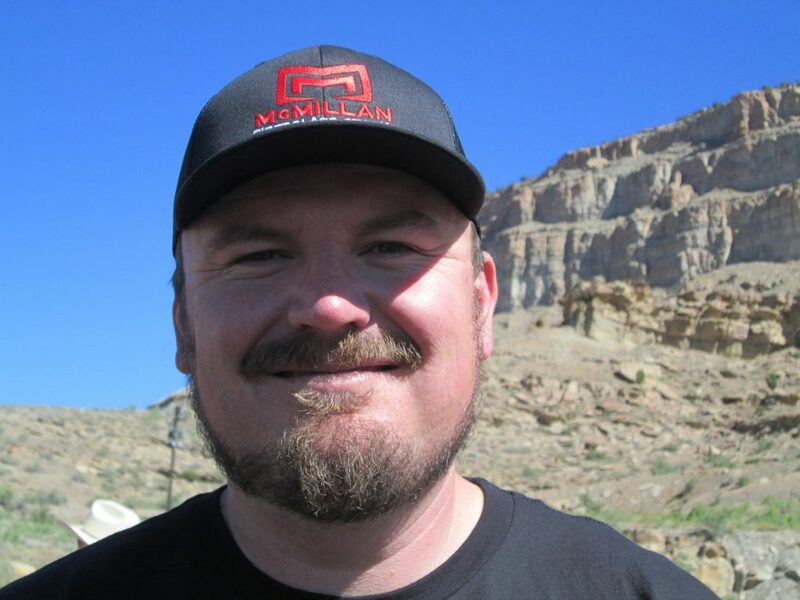 HAKES SAID HIS COMPANY WILL COORDINATE WITH COLORADO PARKS AND WILDLIFE IN OPERATING AND PROVIDING TRAINING AT THE LONG RANGE COURSE AT THE COMPLEX. SCOTT MCINNIS, CHAIR OF THE MESA COUNTY COMMISSIONERS, WAS ONE OF THE SPEAKERS AT THE CEREMONY. ALSO ATTENDING WAS COMMISSIONER JOHN JUSTMAN. THE CEREMONIES TOOK PLACE UNDER TENTS ON A BRISK SPRING MORNING, SURROUNDED BY ROCKY CLIFFS AND MOUNTAINS FRAMING A VIEW OF THE GRAND MESA, WHITE WITH NEW SNOW AND GREEN WITH SPRING GROWTH.